+++Understanding the Islamic State's Retreat from Palmyra The Islamic State’s recent setback is not yet cause for celebration. Summary The media is awash with triumphant stories of Bashar al-Assad’s regime retaking Palmyra from the Islamic State. The only problem with this narrative is that according to multiple sources, Palmyra was not retaken so much as it was given up. According to the BBC, the Institute for the Study of War (ISW) and the Syrian Observatory for Human Rights, IS withdrew from the city in the face of superior numbers and firepower, and saved the bulk of its force in the city to fight another day. Palmyra is a strategically important town for both the Assad regime and IS, but not because it is a UNESCO World Heritage site. If there were more Roman ruins in Raqqa, the IS capital, no doubt the rest of the world would be more outraged over IS control there. For the Assad regime, Palmyra means strategic depth: if forces loyal to Assad hold Palmyra and can project force around the city, the major population centers of Hama and Homs are no longer on the front lines with IS. For IS, Palmyra is important because a strong force could use it as a base from which to cut east and separate IS forces in Syria from Iraq. This is only the second time that the Assad regime has taken the fight to IS. The last time was in a regime offensive in Aleppo province last November, when, with Russian support, Assad’s troops were able to lift the IS siege on Kuweires air base. That victory was to be part of a larger operation that enabled Syrian regime forces to gain the upper hand against the rebels in Aleppo province. Now, the Assad regime is taking advantage of the (relative) quiet of theceasefire with the Syrian rebels to take the fight to IS at a strategically significant point. ** Counterterrorism and Jihadist Capabilities Islamic State’s capabilities warrant much more scrutiny than its ideology. Not far from the house where I grew up in Karachi, Pakistan, there was a children’s amusement park. It sat on top of a hill, its slides and swings beckoning children from the houses below. As summer vacations dragged on, my brother and I would hear the gleeful screams of other children, and we begged my mother to take us. It wasn’t an easy sell. “The swings are so rickety,” she would say one day. “Aren’t you afraid you will fall out of the spinning wheel?” she would say on another. We were a little afraid, but we ached to go. That park was the only one we knew, and if it was shabby, its toy horses and pretend cars worn and weary, it still held the promise of exhilaration. Like children everywhere, we were drawn to being a little scared. That, after all, is the pull of the amusement park: small thrills ordered and anticipated, and then conquered, fear confronted and overcome. When we did get to go, our hearts pumped wildly at the crazy height of a swing, our breath raced as our bodies were flung about; all of it made us wild with joy. Like everywhere, there were small dangers: grim grown men who sat at the periphery, watching giggling children with beady eyes; boarded-up or broken rides, like ominous warnings of thrills gone wrong; beggars who beseeched us for the coins we clenched in our fists. But the heedlessness of childhood worked its wonders; the swings and the slides blurred them into the background. Husain Haqqani is Director for South and Central Asia at the Hudson Institute. The NSS process, which began in 2010, has been an interesting journey. As a result of this process and the commitment shown by world leaders like yourself, the number of countries ratifying the International Convention on Suppression of Acts of Nuclear Terrorism (ICSANT) and the 2005 Amendment to the Convention on the Physical Protection of Nuclear Material (CPPNM/A) has gone up. In addition, the global stocks of Highly Enriched Uranium (HEU) in the civilian sector have also come down. International effort as part of this process has also resulted in the installation ofnuclear detection equipment at over 300 international border crossings, including airports and seaports, to detect smuggling of radioactive material across international boundaries. All of this has made the world a much more secure place. Needless to say, this has been possible due to the result of collaborative efforts with like-minded partners such as India. The Global Centre for Nuclear Energy Partnership (GCNEP) established by your country will be a great platform for exchange of knowledge and cutting-edge research in nuclear energy and security. Let me therefore place on record our grateful appreciation for your efforts to improve the overall level of nuclear security in your country and across the globe. * Is the International Community Out of Ideas to Combat Terrorism? After every attack, officials cry out for more intelligence sharing and hard security measures. Maybe it’s time for something else. A slew of Islamic State attacks, from Paris to Turkey to Brussels, is shaking confidence in the international community’s approach to combating terrorism and has prompted a new look at what critics call a failing strategy that relies too heavily on law enforcement, intelligence gathering, and military operations — and not enough on winning hearts and minds. It has been nearly 18 years since the United Nations was first asked to support the budding U.S. war on terror with a Security Council resolution calling on states to cooperate in pursuing those behind the Aug. 7, 1998, attacks on two U.S. embassies in Kenya and Tanzania. Following the 9/11 attacks, the U.N. built an industry of counterterrorism panels and committees that has documented the spread of militant organizations across Asia, Africa, and the Middle East. The world body has pressed countries to rewrite laws, share intelligence, and criminalize terrorism. QUITOL /India/, March 29. /TASS/. 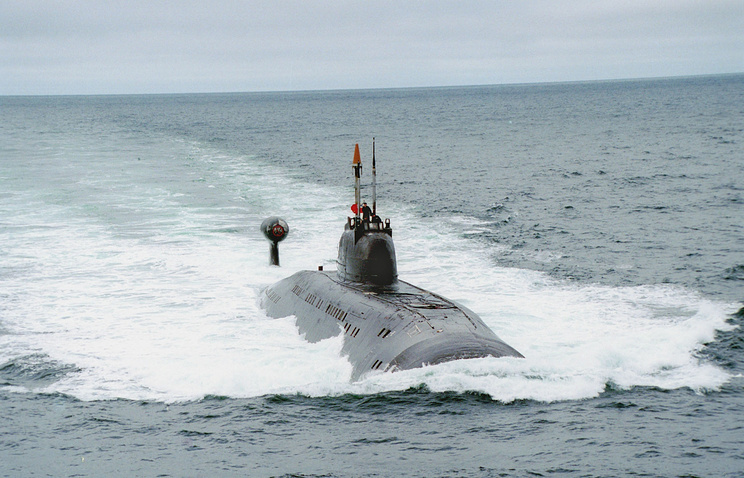 There are prospects for the transfer to India on lease of the second Russian nuclear-powered submarine, deputy head of the Russian Federal Service for Military-Technical Cooperation (FSMTC) Vladimir Drozhzhov told journalists on Tuesday. “I’d rather not discuss this issue now, it’s premature, but the prospects exist,” he said at the Defexpo India 2016 exhibition, answering a corresponding question. I welcome the dynamic role that the Nuclear Security Summit process has played in raising awareness concerning threats to nuclear security. It has significantly stimulated national actions and international cooperation for mitigating the risk of terrorists gaining hold of nuclear weapons and related materials. The success achieved has reinforced my conviction that India and the United States share the common objective of developing a robust nuclear security regime and will continue to be committed towards consistent improvement of nuclear security, domestically and internationally. Without any complacency, the Government of India has approved the establishment of the Global Centre for Nuclear Energy Partnership (GCNEP), as committed at the first Summit in 2010. The GCNEP is a dedicated centre of excellence on nuclear security, with participation from the International Atomic Energy Agency (IAEA) and other foreign partners. Its primary mission is to develop a robust nuclear security culture by building a system that is intrinsically safe, secure, sustainable, and proliferation-resistant. The GCNEP (presently under construction) has already started conducting off-campus courses in training. It is also investing in research and development on issues such as physical protection, design basis threat, safety-security interface, and the security culture that permeates India’s nuclear establishment. The GCNEP is a signature of India’s assurances on its high and effective standards of nuclear security. A SMALL room on the eighth floor of Mumbai’s former cotton exchange is where jewellery goes to die. At the Master Bullion Assaying & Hallmarking Lab in the heart of the gold district, superheated crucibles melt elaborate bangles and earrings into bars a central banker might recognise. This alchemy is being promoted by the government under a new “monetisation” scheme designed to reduce India’s imports of gold: the melted bling can be traded for a bond which will return the same amount of gold several years down the line, with interest of up to 2.5% in the interim. Gold is the bane of India’s exchequer. Indians vie with Chinese as the world’s biggest consumers, buying just under 1,000 tonnes a year and stashing it in anklets, safe-deposit boxes and Hindu temples. As all but a few bangles’ worth is imported, only oil accounts for a bigger share of India’s trade deficit. To put it another way, the imports cost India more dollars every year than it attracts from foreign institutions investing in stocks and bonds, points out Ajit Ranade, an economist. The joint probe is one more in the series of high-profile non-events to offset comprehensive and abysmal security and foreign policy failures. It would be reasonable to expect that commentary on the Indo-Pakistan joint investigation into the Pathankot terrorist attack should wait till its outcome is known, but let me go out on a limb and declare without qualification that this is an utter, bizarre and counterproductive waste of time; that it will bring us no closer to securing justice against the planners and architects of this act of terrorism; and that its only gain will accrue in terms of greater legitimacy and cover of “credible deniability” to Pakistan, as it projects itself as a reasonable state acting in good faith to bring terrorists to book – without, in fact, doing anything tangible in this direction, as in the case of the 26/11 investigations and prosecutions. 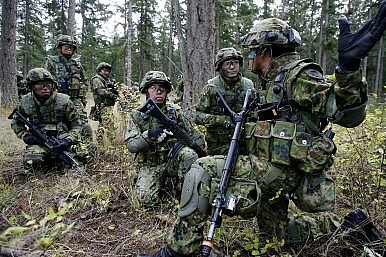 Two contentious security laws went into effect this Tuesday in Japan. The laws were passed six months ago by the Upper House of the Japanese Diet–Japan’s parliament–based on a July 2014 Cabinet resolution reinterpreting article 9 of Japan’s pacifist constitution. The laws lift a decades-old, self-imposed ban on collective self-defense.. Tokyo is now allowed to defend allies, even when the country is not under attack itself. 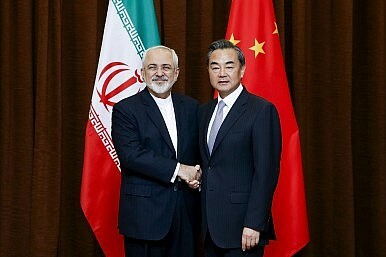 The new so-called “Permanent International Peace Support Law” and the “Legislation for Peace and Security”–the former facilitating the deployment of Japan Self-Defense Force (JSDF) logistical support assets abroad, the latter providing the legal foundation for the reinterpretation of the constitution based on the amendment of ten existing laws—have caused some states (e.g., China and South Korea) as well as the Japanese public to openly fear a resurgence of militarism in the country. As we drove through the streets of Yarkand, a desert oasis town in China’s far western province of Xinjiang, police and counter-terrorism forces line almost every corner. Our cameras are kept close to our chests, out of sight, because despite official laws allowing journalists to travel here freely, if Chinese authorities would stop us, they will follow us for the rest of our trip. Beijing’s fears in the region have been accelerating in recent years because of a spike in attacks by the local Muslim Uyghur population against the Han Chinese, the majority in the rest of China. 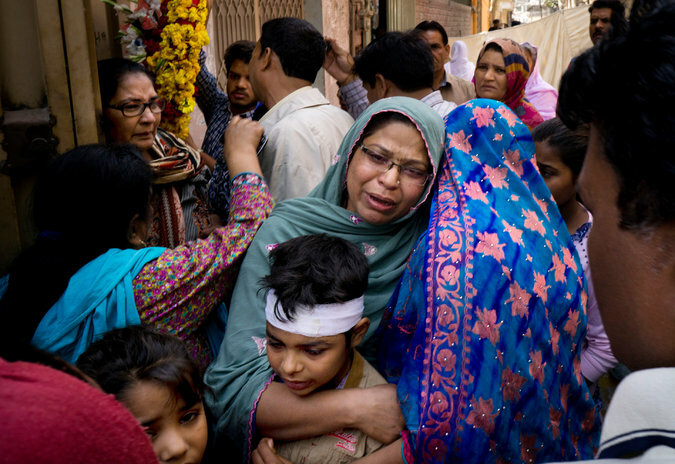 Since 2009, hundreds of lives on both sides have been swept up in the violence. In May 2014, after a series of high-profile terrorist attacks in Xinjiang and across the country, China launched a "People’s War on Terror" within its own borders and Xinjiang is the frontline. We were in Yarkand because one of the deadliest incidents happened just outside of town. Are We Misreading the Capabilities of the Chinese Military? 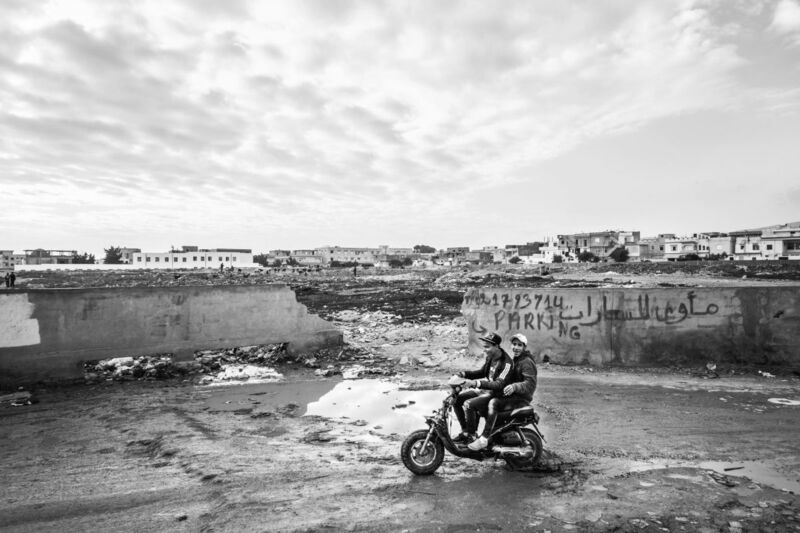 Exporting Jihad The Arab Spring has given Tunisians the freedom to act on their unhappiness. A few miles northwest of Tunis, with its sidewalk cafés and streets lined by rows of manicured ficus trees and its avenues named after European cities, there is a poor suburb of eighty thousand people called Douar Hicher. The streets are narrow and rutted, with drains cut through the middle, and the houses cluster close together, as if to keep out strangers. In the first days of 2011, thousands of young people from Douar Hicher and other suburbs poured into downtown Tunis to demand the ouster of the country’s corrupt and autocratic leader, Zine el-Abidine Ben Ali. Within two weeks, he had been overthrown, in what became known as the Jasmine Revolution. This sudden change was soon celebrated around the world as the first sprout of the Arab Spring. In the new Tunisia, freedom brought tumult as well as joy. Douar Hicher became the scene of preaching, protesting, and, at times, violence by Islamists. Before the revolution, Tunisia had been kept rigidly secular. Now the black flag of radical Islam flew over many buildings, and hard-liners known as Salafis—the word refers to the original followers of the Prophet Muhammad—took advantage of the new openness and tried to impose Sharia in their neighborhoods. Some of the Salafis belonged to an organization called Ansar al-Sharia, the Defenders of Sharia, which opposed electoral democracy and wanted to set off an Islamist insurrection. The group began attacking Tunisian security forces, and in October, 2012, a Salafi imam was killed when he joined an ambush of a national-guard post in Douar Hicher. In 2013, faced with a state crackdown, the Salafis went underground, and young men and women began disappearing from neighborhoods like Douar Hicher. REUTERSA flag belonging to the Islamic State fighters is seen on a motorbike after forces loyal to Syria's President Bashar al-Assad recaptured the historic city of Palmyra, in Homs Governorate in this handout picture provided by SANA, March 27, 2016. How completely different it all looks today. In February, Director of National Intelligence James R. Clapper painted a singularly bleak picture of a newly resurgent al Qaeda alongside an ambitiously expansionistIslamic State (ISIS) in his annual worldwide threat assessment. Syrian Army soldiers monitor residents who said they have received permission from the Syrian government to leave the besieged town as they wait with their belongings after an aid convoy entered Madaya, Syria, January 14, 2016. Besieging civilians—cutting them off from food, supplies, and fuel—is a war crime. It is also a strategy that several parties to the conflict in Syria use, chief among them the Syrian government. Estimates of the number of Syrians currently living under siege vary widely, according to who is doing the reporting. For example, last December, the United Nations Office for the Coordination of Humanitarian Affairs (OCHA) in Damascus communicated back to theUN secretary-general’s office that 393,700 civilians were besieged. For the same period, Siege Watch estimated that the real figure was more than one million. The disparity seems related to OCHA’s desire to stay in Damascus, which requires that it stay in the good graces of the regime of Syrian President Bashar al-Assad. That pandering to the Assad regime can also be seen in changes OCHA made to its 2016 Humanitarian Response Plan after a review by the Syrian government. Presumably based on Syrian objections, Yacoub El Hillo, OCHA’s resident coordinator, and Kevin Kennedy, OCHA’s regional coordinator, deleted every single reference to “siege” or “besieged” populations. From its base at the five-star Four Seasons Hotel in Damascus, OCHA decided that an area is merely “hard to reach” rather than besieged if it has received an aid convoy in the last three months, regardless of whether the supplies are sufficient for one month, let alone three. Russia’s Strategic Missile Force will field-test a new mobile robot system designed to guard and defend strategic missile facilities during an upcoming nuclear weapons drill, TASS reports based on information supplied by the press service of the Russian Ministry. 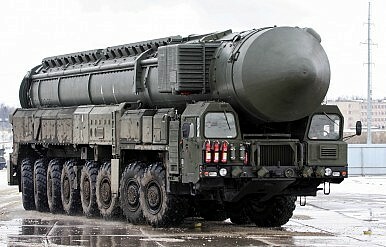 Next to combat robots, around 4,000 military personnel and about 400 pieces of military equipment will participate in the nuclear weapons exercise to test the operational readiness of Topol-M ground-launched intercontinental ballistic missiles. “What makes the exercise due soon in Russia’s eastern-most division of the strategic missile force so special is the use of the most complex robots for resistance to groups of saboteurs. The exercise will help evaluate the capabilities of the robot system’s fire module to track down and monitor drones,” the defense ministry reveals. When the news of the horrible terrorist attacks on Brussels first broke, I was in Paris, where sympathy for the Belgian capital was enormous. In Paris, among officials and the public, there was a palpable sense of shared fate with other countries facing the threat of jihadi terrorism that rarely makes it over intact to the United States. Insulated by geography and egotism, we tend to respond to terrorism in Europe by issuing travel warnings. But if nihilistic jihadis blowing up metro stations and airports doesn’t create a sense of solidarity, maybe the possibility of nuclear terrorism will do the trick. We’re about to hear a lot about shared interests as Washington gears up for one of the few items on the security agenda that purportedly interests President Barack Obama — the final Nuclear Security Summit. The president initiated the effort to convene world leaders to focus on improving nuclear security following his 2009 speech in Prague on the subject of nonproliferation. While the process has been valuable, there seems to be little appetite, both in Washington and elsewhere in the world, for continuing Obama’s pet project once he leaves office. So, it’s one last meeting. 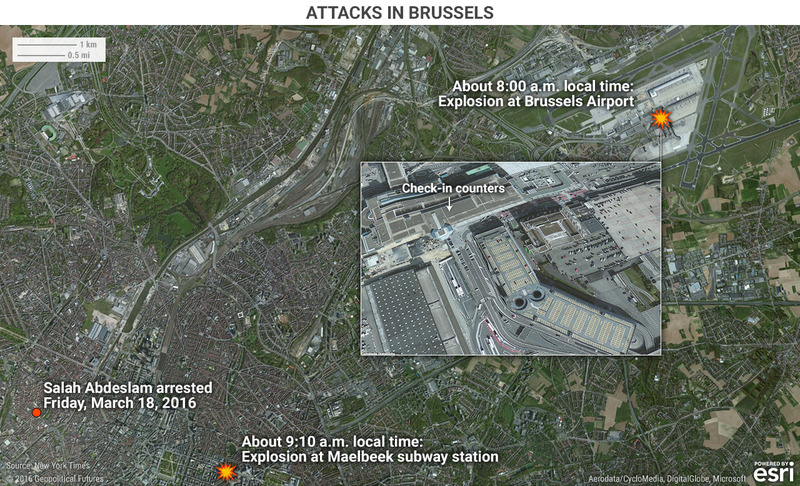 The backdrop to the summit will be the revelations over the past few days that the terrorist network that carried out last week’s attacks may also have been targeting Belgian nuclear power plants. There are plenty of reasons to think the facilities themselves are relatively safe. After all, the fuel at these facilities is irradiated — which means that a terrorist group attempting to steal it would have a very unpleasant time handling the hot, radioactive fuel. Putin’s bullying and the West’s non-play give Ukraine’s leaders considerable room for maneuver. If Kyiv had a vision of its future, it could stop reacting to events and attempt to settle the war in eastern Ukraine on its own terms. By announcing bold initiatives, Kyiv could take the initiative and shock Washington and Europe out of their complacency or denial. Consider the stalemate over the Minsk accords. France and Germany are pressuring Ukraine to hold elections in the occupied Donbas even as the Kremlin negates its end of the bargain by violating the ceasefire, arming Putin’s proxies, repressing freedom of speech and assembly, and controlling the Ukrainian-Russian border. The elections would be a violation of every value France and Germany claim to stand for and only ensure that Russia would become a permanent cancer on Ukraine’s body politic. Nuclear safeguards like those that have emerged from previous Nuclear Security Summits are playing an increasingly important role in protecting the world from security threats. While the heyday of Cold War arms control tended to produce formal treaties that resulted in dramatic cuts to nuclear arsenals in order to diminish the threat of nuclear war, security threats have changed, and the way we think about arms control ought to as well. Safeguards that reduce and secure weapons-usable nuclear materials and increase transparency into the stockpiles of countries have become increasingly common in arms control agreements since the 1970s, and are also a vital tool for protection from the threat of “loose nukes.” Moreover, they signal a shift in strategy, focusing more on the control of raw materials instead of the number and kinds of weapons states possess. At a time when the technical information necessary to make nuclear weapons is increasingly accessible in the public domain, states must both cast a wider net and examine the finer details to counter this nuclear threat. Next week's Nuclear Security Summit—the final one—will endeavor to take further steps to establish and reinforce an international architecture for the security of nuclear materials, before they can slip into the hands of non-state actors with intentions to cause harm. In light of the threats faced today, commitments to adopt safeguard protocols agreed to by countries at these summits should be considered as valuable as the treaties achieved during the glory days of arms control. Only days after the arrest of Salah Abdeslam, one of the Belgian-based organizers of the Paris attacks in November 2015, Brussels was rocked by two suicide attacksthat killed more than 30 people and injured more than 200. The bombings have called attention to the crisis of security across Europe in the face of terrorism and radicalization. But the incidents also add color to the image of Belgium - my native country - as a failed nation-state, one that seems egregiously incapable of protecting its own people. As it is, Belgium is no longer a nation-state in any functional sense, but rather a "federation" of three different regions (Flanders, Wallonia and Greater Brussels) and of three different "linguistic communities" (Dutch, French and German). As a result, it is host to an array of police and juridical districts that don't map onto each other geographically, demographically or politically. "Belgium" is now, arguably, just an intermediate stage on the way to a regularly predicted and yet never fully realized political separation. The company's 'bug bounty' is part of an emphasis on transparency and collaboration with friendly 'white hat' hackers. Uber became the latest firm to issue a cash bounty on tips about bugs in its system on Tuesday, when the ride hailing company said it would release a technical “treasure map” of its computer systems to a select group of hackers. The company’s “bug bounty” begins on May 1st, and would offer independent security researchers up to $10,000 for finding a range of flaws in its system that could lead to the exposure of personal information about the company’s passengers and drivers. Nanda Devi, the second highest peak of India is famous for its scenic beauty. But apart from being one of the most sought after pastoral destinations in Himalayas, it’s also home to lost nuclear power sensing device which got buried beneath a snow clad valleys of Nanda Devi 50 years ago. In 1965, three years after China’s invasion into India, US’ Central Intelligence Agency (CIA) and India’s Intelligence Bureau collaborated to install a nuclear-powered sensing to check China’s burgeoning nuclear ambitions. In 1964, amid the height of cold between Western and Eastern blocks, China had conducted a nuclear test in Xinjiang province; and in order to check further nuclear development, a device atop Nanda Devi was to be installed. Guru Rinpoche was the name given to this device by the sherpas who climbed this device which was half the size of the bomb dropped on Hiroshima. An Apple iPhone is pictured next to the logo of Apple in Bordeaux, southwestern France, February 26, 2016. (Regis Duvignau/Reuters). With yesterday’s announcement that the FBI had gained access to the phone used by Syed Rizwan Farook, the San Bernardino gunman, the tech community is clamoring to find out how they did it. Many commentersbelieve that any vulnerability used to access the data must be subject to the Vulnerabilities Equities Process (VEP), the process by which the U.S. government decides whether to disclose a computer vulnerability (partially declassified here). Drawing on a blog post that laid out the criteria for disclosure by Michael Daniel, the president’s cybersecurity advisor, many have also concluded that it must be disclosed. Having helped to run the process at the White House, I’d say they have a good case. Speaking Tuesday at the Center for Strategic and International Studies, a Washington, D.C., think-tank, Marine Corps Gen. Joseph Dunford said, “Today we go from policy to OPlans [operational plans], a process that “doesn’t give you intellectual rigor” to meet trans-regional threats covering challenges from land, air and sea to cyber and space. Using North Korea as an example of the limits of having a purely regional focus in organization, he said that 15 years ago the threat from Pyongyang was centered on the peninsula. Now and in the future the threat could involve Pacific, Northern, and potentially Strategic and Cyber commands because of North Korea’s continued development of long-range missiles, a nuclear weapons program and cyber capabilities threatening other nations far removed from northern Asia.